Once the HRA has been negotiated, you will recieve an enrollment form, a claim form, a direct deposit authorization form, and a copy of the Summary Plan Description, including other disclosures required by federal law. Complete the enrollment form and, if desired, the direct deposit authorization form and return them to the Fund Office. Keep the clain form to submit with your first claim. Reimbursements from your account will not begin until forms have been completed and returned. To change your address, complete the change of address form or call the Fund Office at 1-800-251-4108. 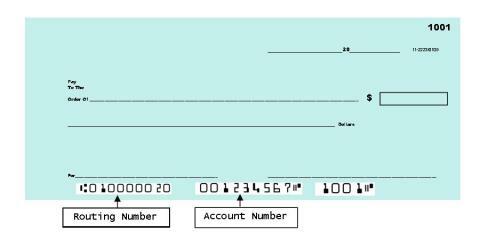 If you are signing up for direct deposit, you can indicate your new address on the direct deposit form. You must update the Fund Office of any address changes to prevent interruption in benefits. The HRA is funded solely by employer contributions required by your collective bargaining agreement. Federal law currently prohibits employee contributions. The HRA allows your employer an opportunity to offer a benefit that you can use to cover the rising cost of health care. Your employer can deduct contributions made to the HRA on their income tax return, and your employer is not required to pay FICA taxes on contributions made on your behalf.